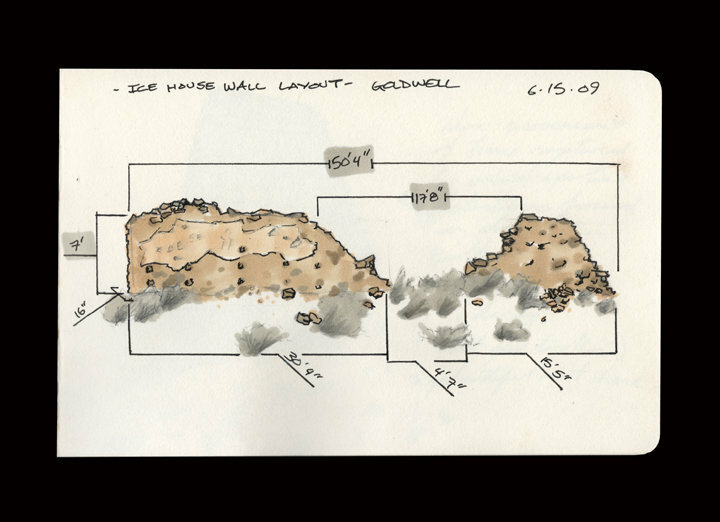 This was a drawing of the remnant stone wall of an ice-house at the Goldwell Artists Residency in Rhyolite, NV and all of it's important dimensions. I like to be thorough. I was thinking about building an architectural intervention here, but decided against it due to local inhabitants (snakes) being potentially against the idea pen and wash on paper 5" x 6.5"